We have over 25 years of experience providing catered chalet holidays and whilst we obviously share the poet Edith Sitwell’s love for a cosy home, an open fire, quality time with friends and family and fantastic food, we differ slightly in her assertion that it’s the only place we want to be. Winter is, naturally, our favourite season. We start counting down the days from spring! Then after a long wait, it snows and it is finally time to get outside and play! 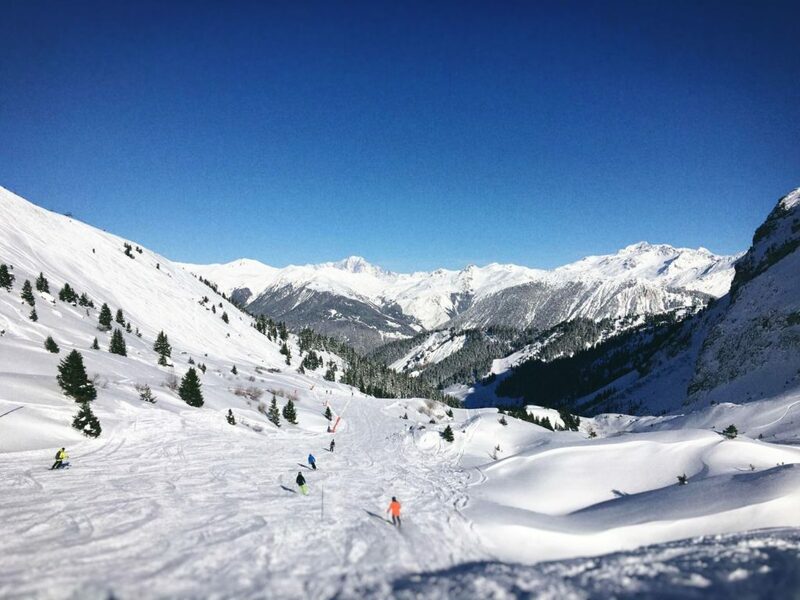 There’s stunning scenery to be explored and fluffy powder crying out to be skied! But all this fun comes at a cold price and if, like us, you want to squeeze out every last second on the slopes during your ski holiday, staying as warm and dry as possible is paramount. Nobody wants to cut their day on the hill short because of the cold. With this in mind we’ve put together some handy tips to help you stay warm and comfortable on the slopes the whole day long. Start the day right with a good breakfast. However keen you are to get going, you need to put some fuel in the tank first! And eating makes you warmer! Breakfast might be the most important meal of the day, but with all that shredding planned, you’re going to need to keep refuelling. Pack some snacks, (granola or cereal bars are our go-to), and then make the most of a reinvigorating lunch at one of the great mountain restaurants. 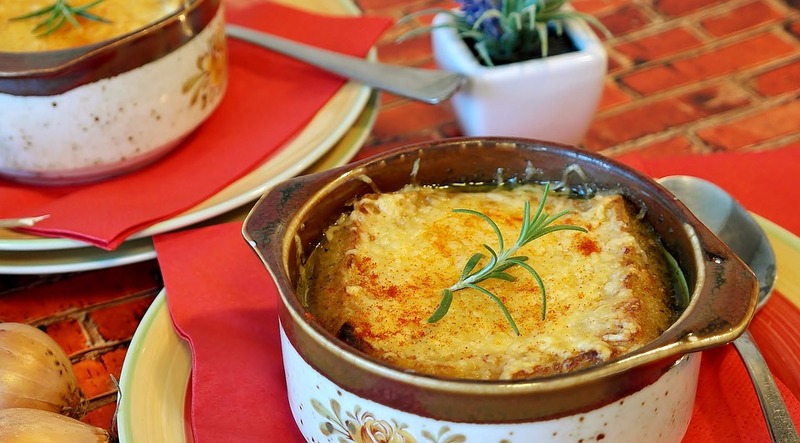 Go for something nice and warm but avoid an afternoon energy-slump by skipping anything too rich or particularly carb heavy (we know you won’t), save that for dinner at the chalet! We’re talking here about urbandictionary.com’s first definition here, but hey, if you want to look ‘mad fresh’ in the process who are we to judge. We’ve seen all sorts of trends come and go! 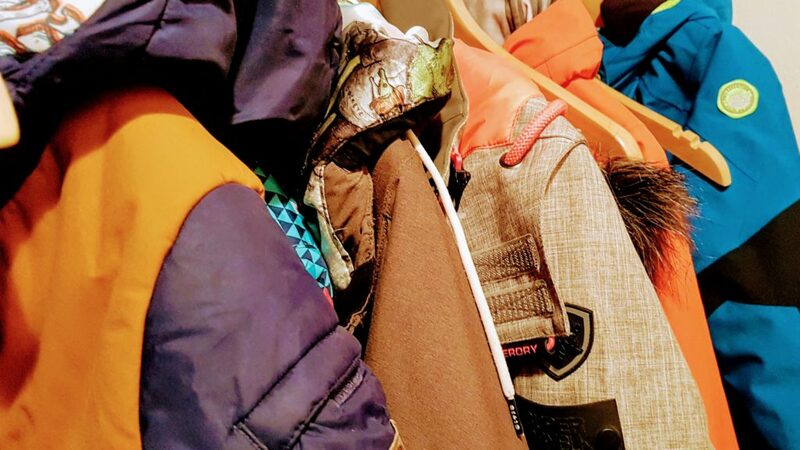 Seriously though, layers help trap small pockets of air and multiple layers are always better that one chunky ski jacket. Start with a Merino wool thermal layer which, unlike cotton, will still trap air even if it gets wet, then add a down filled mid-layer and a waterproof shell jacket. Make sure you do up your jacket’s powder skirt and tuck in all those layers carefully, to avoid the dreaded shovel-full of snow up your back when you fall over (hey, it happens to the best of us). 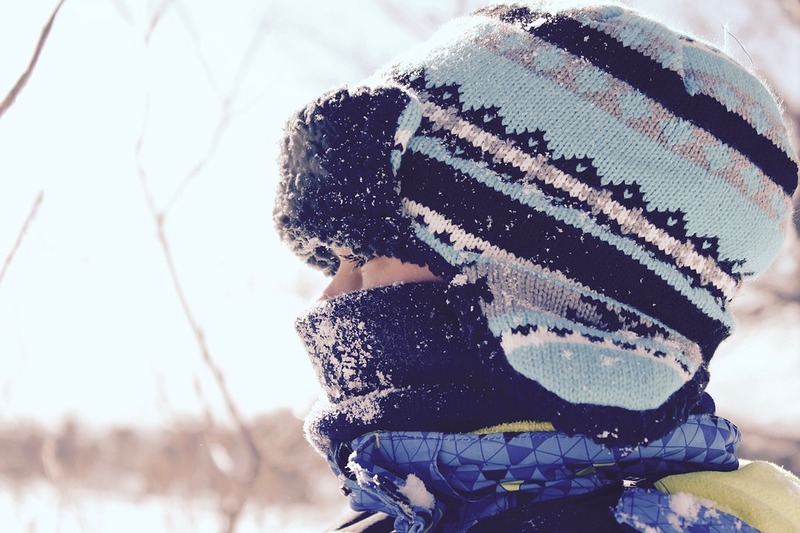 Cold head, hands and feet are the skier or snowboarder’s nemesis and sometimes, however good the conditions are, can be cause-enough to abandon slope. Combat really cold hands with a combination of mittens along with a silk glove liner and consider using a pair of hand warmers. They’re small, inexpensive and easily inserted into ski gloves and even boots. Ski socks have come along way from the extra-thick chunky variety that ultimately restricts your circulation and it really pays to invest in some good quality thinner pairs. When it comes to feet, think merino wool again. With its excellent wicking properties, it will help your feet to keep dry and regulate body temperature. And of course, if you have them, make use of your chalet’s boot-warmers! It’s so important to start your day with dry-as-a-bone kit. If you don’t you’ll find it impossible to get warm. Let’s face it: there are always going to be people that look great in any hat they put on their head and those that, well, just aren’t. But whichever group you fall into, some form of headwear is imperative on the mountain. There are traditional wooly hats, helmets, snoods, buffs and balaclavas to choose from and the most important thing is that they help you conserve body heat and protect those ears from the wind chill. You can also try neck gaiters to keep out the drafts and snow. If you’re out on the slopes and you can feel the cold creeping in uncomfortably so, despite good eating and good dressing, we highly recommend taking a break for a hot choc or a vin chaud. Or maybe just take yourself off to the new Legends Chairlift that runs from the Chaudanne area up to the top of the Elements Park. It has covered and heated seats! Cold is a key ingredient that is needed to make a ski holiday great. It helps turn precipitation into snow and also stops the snow melting. The problem is that evolution and fashion has decided that we humans should be pretty much hairless and this makes us poorly designed to deal with extremely low temperatures. The solution to stop getting cold is to stop skiing, but as we have already mentioned skiing is great, which means that we thrill seeking humans have developed many ways of remaining warm while sliding down mountains for recreation. This is the Alpine Action guide on how to keep warm whilst skiing. According to the US army’s 1970’s survival manual 45% of your heat is lost through ur head. Science has come a long way since then. The truth is that heat is lost in equal amounts across your body. A skier going out in only ski boots will lose as much heat from his head as he will his left buttock, however he will lose up to 80% of his dignity. With this in mind it is important to dress correctly all over. Head – Wear a hat and a neck warmer, balaclavas are available but there are very few banks to rob in ski resorts, although you may do well to hold up one of the more exclusive bars in Courchevel. Torso – Layering is the best option for warmth. Use thin, modern, breathable layers that will reduce sweating. If you are warming up remove a layer or two. 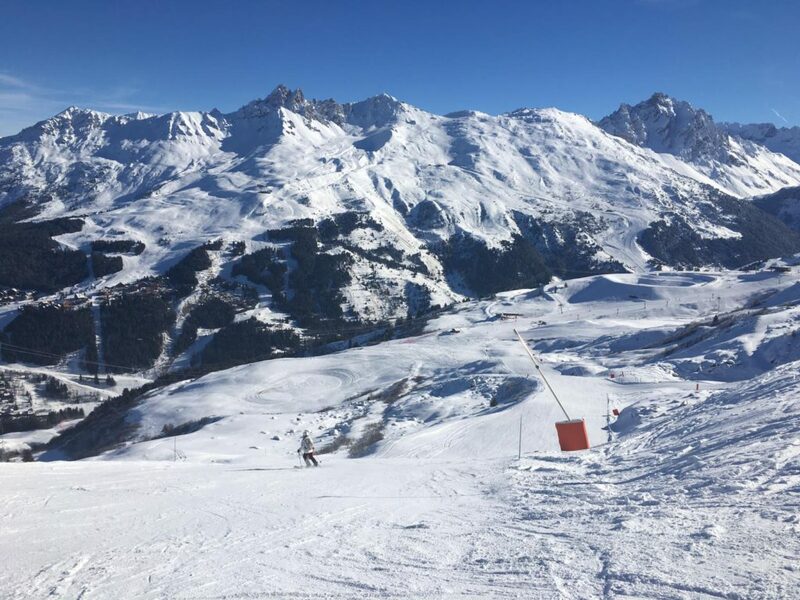 If you are sweating more than you would in your chalet sauna then the chances are that you will get cold when you are on a chair lift as the sweat starts to freeze. Hands – Fingered gloves are good for letting aggressive snowboarders know your feelings, mittens are good for keeping your hands warm. When choosing your gloves or mittens make sure you are buying quality and that they are waterproof. Gloves that come with liners are also worth considering for those extra cold days. Legs – If you are a bit rubbish at skiing or a snowboarder then you will probably spend a lot of time sitting down, if this is the case then you will want to invest in lined waterproof trousers. Also you will want to have at least one layer in the form of thermal underwear. Feet – Many of us will suffer from cold feet when skiing. An extra pair of socks is not the answer. This our guide within a guide on how to keep your feet warm. Snug fitting boots. Too lose they will become cold. Too tight and the blood will stop circulating, causing your feet to freeze up. Wear proper socks. A budget pack of five for £2 from Primark will not be good enough. Always put on warm dry boots. Another tip for warm feet is change of socks during the middle of the day, keep a pair warm and dry in your pocket and the swap them over during lunch. In Meribel and the rest of the Three Valleys there are lot of wonderful mountain restaurants that are warm and cosy. So when you get cold take a moment to stop and warm up. Hot drinks will warm you up and will help bring your body temperature back up. When you have stopped at a lovely mountain restaurant or bar, don’t be fooled into thinking that a quick Genepy will warm you up as it won’t, despite what the locals say. If you know it is going to be one of those extremely cold, sunless days on the mountain then plan a route that will keep you warm. Look on your piste map before heading out and stick to runs that you can access from bubbles, cable cars or covered chair lifts. These will give you a break from the cold and help you maintain the heat levels that you have worked up when carving perfect turns on the last run. Also factor in warm stops that we talked about previously. You could keep a pair of hand warmers in your pocket. These don’t cost very much, typically €3-€5. By bending them you create a chemical reaction that produces heat and will last for about 8 hours, you can then keep them in your gloves or pockets. There are more expensive ways stay warm. If you have the cash, then invest in heated boots and jackets. Always keep an eye on your ski buddy for white spots on exposed skin as this is a sign of frost bite. Always start the day warm, don’t put on damp or cold clothes as you will never warm up enough to keep yourself warm and dry your clothes. And finally,our top tip, don’t fall over. Falling over and rolling around in the snow will make you wet and cold! If you have got any tips on how to keep warm you would like to share please add your comments below.